Shadows of two persons with gun and scrap. Dangerous criminals getting into apartment for commit crime. Darkness. Night. 4k00:12Murder with cutting victim with cold weapon. 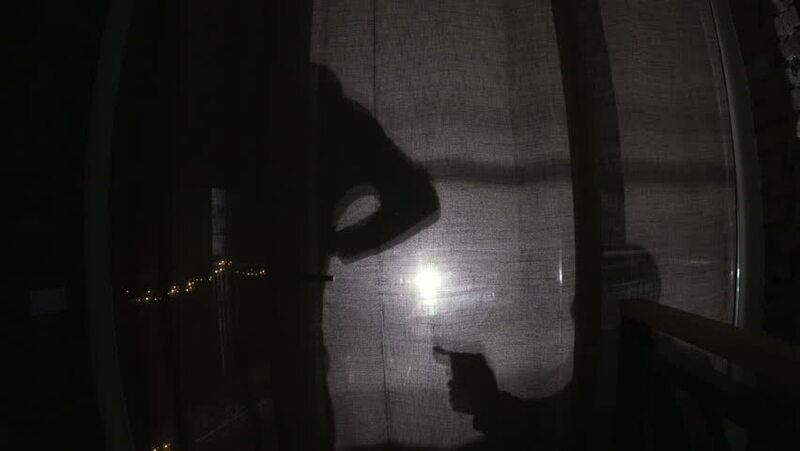 shadow on wall of man hostage who sitting tied, killer coming and putting machete under neck of man and slaughtered him. killing with big knife, close up. hd01:06CIRCA 1944 - A US Army Air Force reconnaissance plane flies over Myitkyina, Burma.